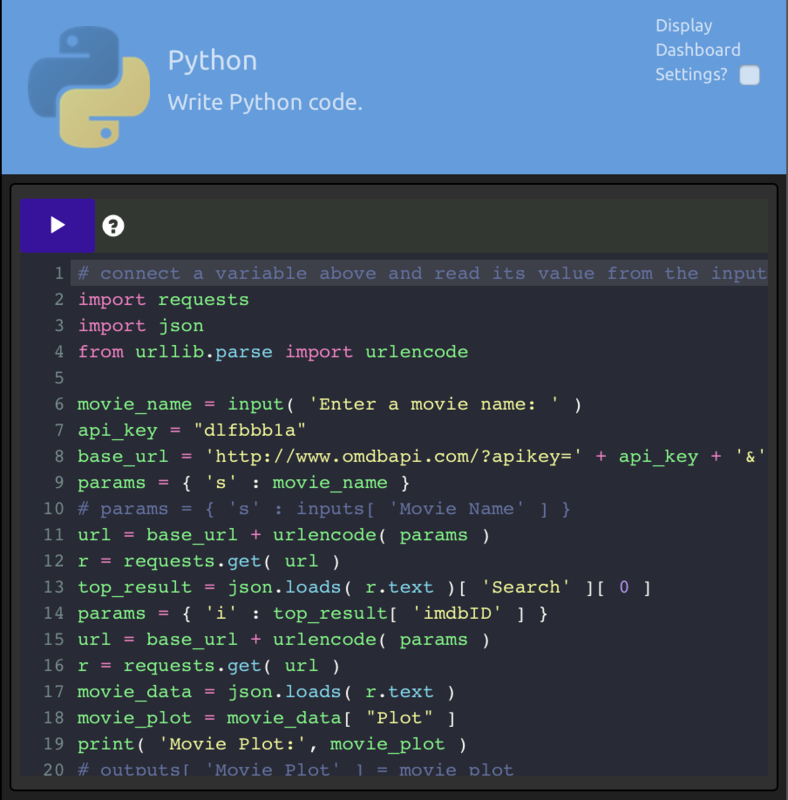 With WayScript, you can create Python GUIs on the cloud to share with others. 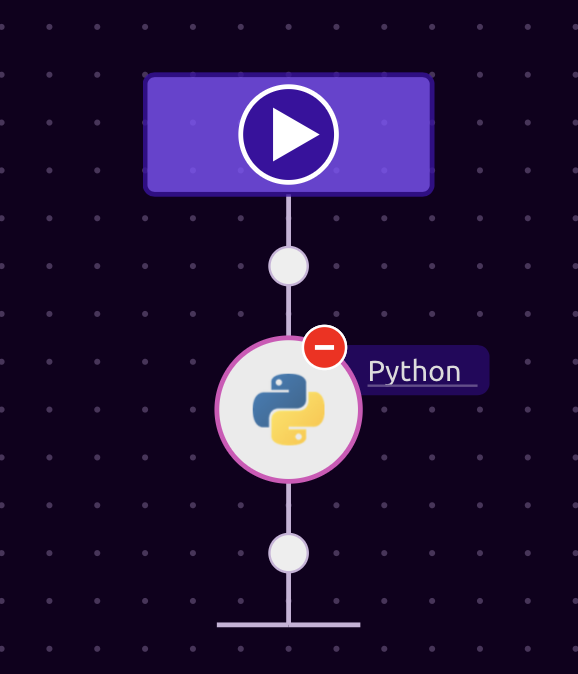 For this tutorial, we will be using an example Python script that will get the plot of a movie when the title is inputted. The script uses an API called omdb. The API is used through a third party library called Requests. 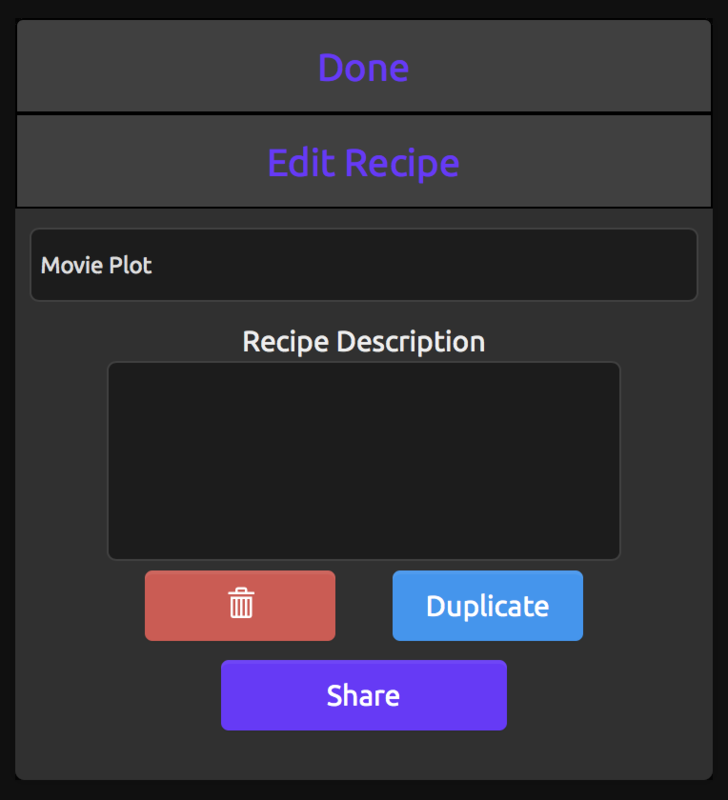 Now that we have our script ready, all we need to do is create a GUI for it using WayScript. 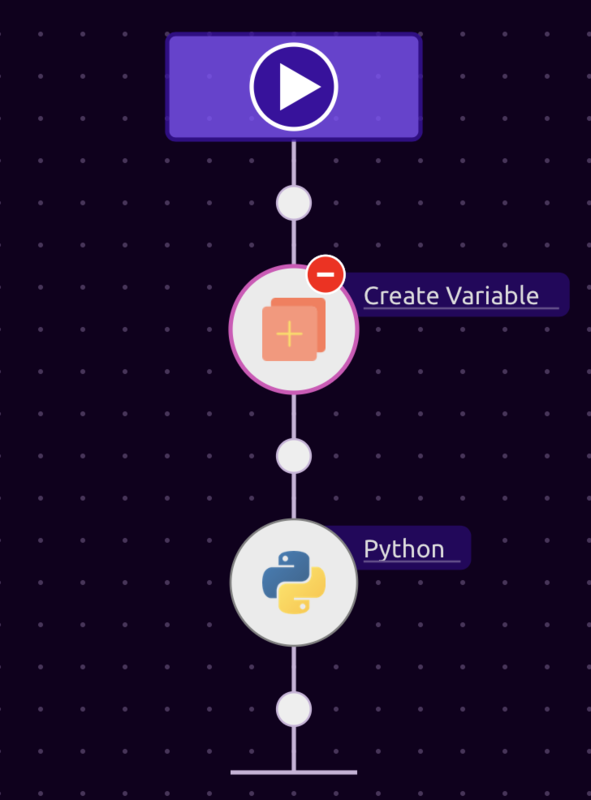 Build a program from scratch and drag the 'Python' module into to the first step of your program. Paste your code into the module. 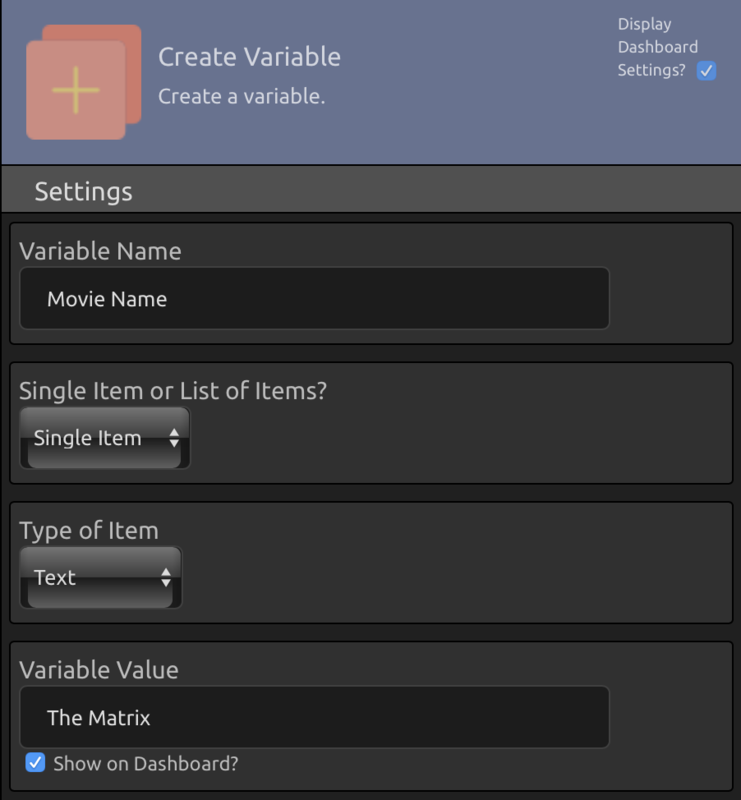 To allow for the input of a Movie Name in the GUI, we are going to create a new variable a step before the 'Python' module. I will name the variable 'Movie Name' and give it a default value of 'The Matrix'. I will also make the value visible and able to be edited on the Dashboard. Since the variable we created can now be used as an input by other modules, let's insert it into our code. Next, I will replace the line of code that prints the result with a line of code that assigns the 'movie_plot' variable to an output. Now, that your program is complete, you can find the GUI for your program in your dashboard. Hitting 'Run' will output your results. To share your program, click 'Adjust Settings', represented by the gear icon, in the header of your program. Click the 'Share' button on the bottom. Enter the emails you want to share your program with. Congratulations! Not only have you created a GUI for a Python script, but you also shared them with others through the cloud.